You’re getting into paid speaking gigs and you receive an email asking you to speak at an event. Is this a confirmation or do you also need a purchase order? There are lessons here for all businesses, I know from experience, how exciting it is to get that email from someone asking you to go and speak at their event, but is that a booking, an order or an instruction to start spending time on the project? Some people say that an email is as good as a purchase order but beware emails can be open to misinterpretation. Is this a confirmed booking or is the customer simply conveying a wish? We get so many emails that these days we’re all guilty of reading and responding to stuff quickly on our mobile phones, often when we’re on the move. This email from Customer Bob seems great, he’s making a booking, right? When speaking engagements is your business, you need be sure all your bookings are fixed in the diary and properly confirmed. 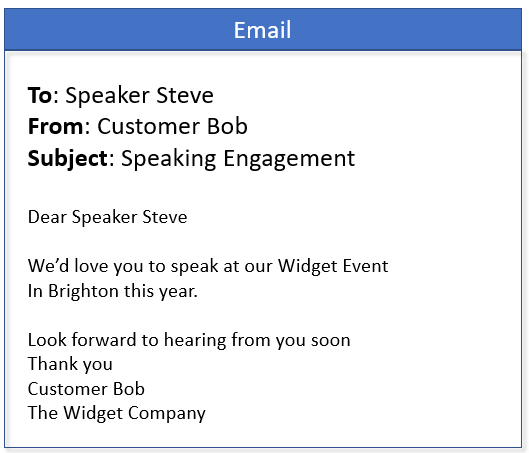 Savvy speakers know the next step here is to thank the customer for his enquiry, send a quote and include a speaking contract with specific terms and conditions. Then, most importantly, get them to send you a purchase order. If you don’t feel it’s specific enough, ask for more detail and make sure you get the clarity you need. Who wants to buy your services? 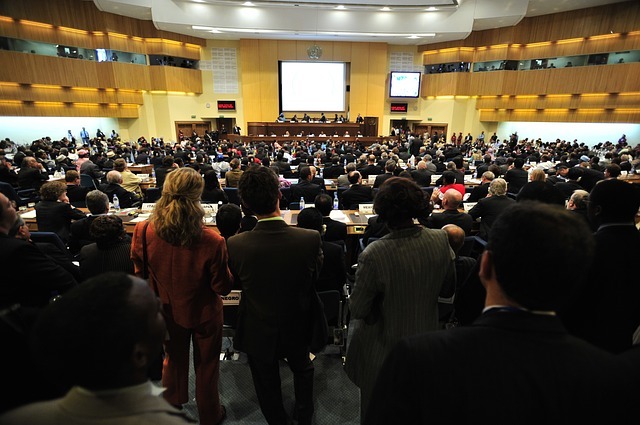 Are you dealing with the event organiser or the company itself? When you receive an official purchase order you know exactly who you’re dealing with and who the legal entity is. How do you know the person who wants your services is authorised to spend money and won’t change their mind? Having that purchase order confirms an agreement to buy services from you. You also know who has the authority to engage your services and pay your invoice. You will have formal request from the customer and it confirms the terms and prices you agreed. If they are insisting that you need to comply to their terms and conditions, then read them very carefully. If you’re dealing with a large company or corporation, you may find they will only process and pay an invoice if it has a valid purchase order number. Remember the 5 reasons above explain why you need a purchase order to confirm you paid speaking gigs. A purchase order is protection for you and clarify for them. Don’t begin any preparations or work before you receive it. Not sure what to include in your speaking contract, terms and conditions? My previous blog covered where to get a contract template for your speaking engagements and if you’re not sure what to include in your contract, here’s a few of clauses and other terms you should consider. Terms and conditions or contracts shouldn’t be complicated. Clearly-written terms make life easier for all involved, giving certainty and clear expectations for all parties and the best bit; having all those things in your contract is going to ensure you get paid on time. Who is the legal entity you are entering into business with? What should my speaker contract cancellation clause include? How do terms of business help me get paid?